Once upon a time, if you required a seven-seater, you had to get a big, boxy and boring MPV, but not anymore. These days, seven-seater SUVs have become the go-to choice for drivers who have more people to move. That’s because they're just as practical as MPVs but a great deal sportier. 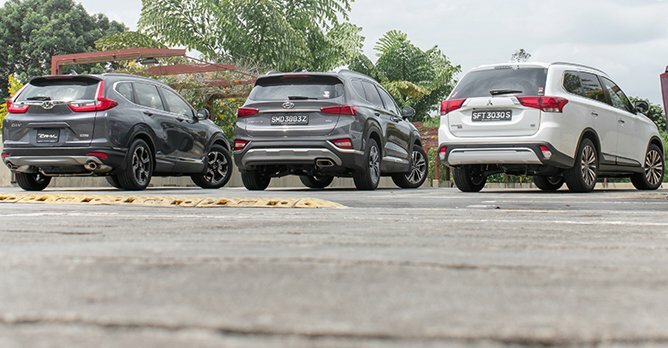 And in Singapore, if you're in the market for such a car, some bang-for-buck choices are the Honda CR-V and the Mitsubishi Outlander, which now face new competition in the form of the fourth generation Hyundai Santa Fe. So does this returning Korean have sharp enough claws to tear up the Japanese competition? We find out. At 4,770mm long and 1,890mm wide, with a wheelbase of 2,765mm, the Santa Fe is the largest car here. As such, its space advantage is immediately noticeable, especially in the third row. The CR-V comes a close second and the Outlander third, although all three cars' third rows are best left for kids if it's a long drive you're planning on taking. 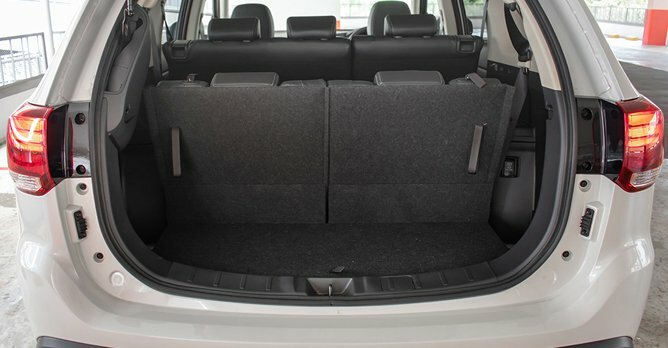 The Santa Fe and CR-V are also the ones with the most cubbyholes for small items, especially in the front. 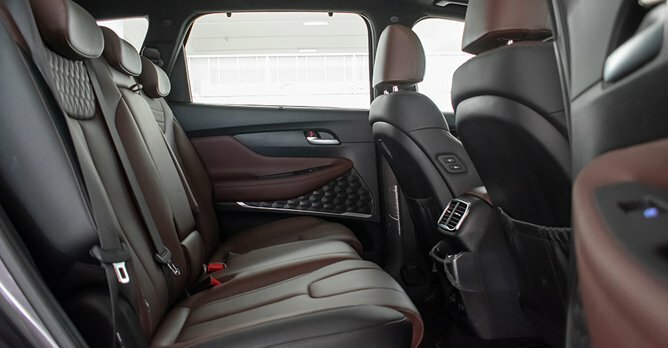 The space difference is less noticeable in rows one and two, across all three cars, but it is again the Santa Fe that feels the cushiest and plushest in row two. Additionally, the Outlander is disadvantaged by the fact that it does not come with a sunroof, making it feel less airy than the other two. In terms of boot space, if you fold their third rows down, the Outlander offers the most cargo storage capacity at 591 litres. 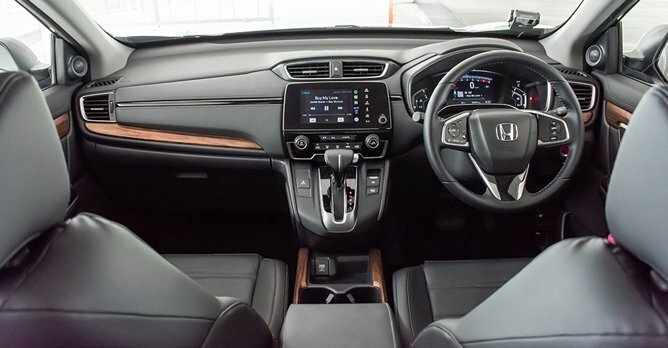 But where the Honda loses to the Hyundai in terms of space, it makes up for with the best-feeling cabin design and materials, with the best fit and finish to boot. Its infotainment system, which is represented by a 7.0-inch touchscreen display, is also the most intuitive, with the best resolution of the three. However, the Santa Fe's cabin build isn't shabby either, and is more importantly a step up from past Hyundai models. The Outlander feels the simplest on the inside, but to be fair, it is also the most affordable car here at just $107,999 (as of 24 January 2019). The CR-V may have the smallest engine compared to its rivals here but backed by turbocharging, it makes the most power and torque, rated at 190bhp and 243Nm. An added advantage of its small capacity engine is also the lowest road tax of the three at $684 a year. 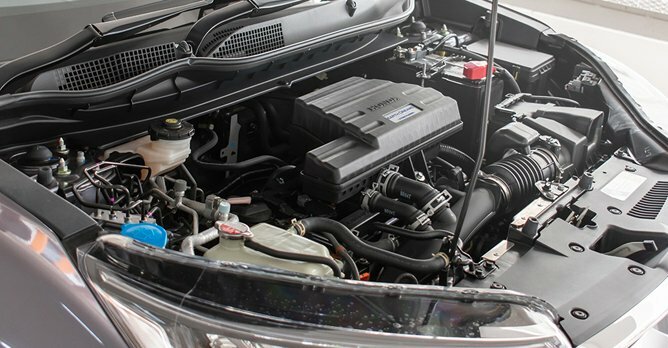 In terms of power, the naturally aspirated 2.4-litre Santa Fe comes second with 182bhp and 283Nm of torque. The 2.0-litre Outlander finishes last in this race with 148bhp and 190Nm. It's no surprise, then, that the CR-V is the quickest car from 0-100km/h, clocking 9.4 seconds in a century sprint. However, given the Outlander's lowest kerb weight of 1,480kg, it does feel the lightest off the line, with an equally light steering and throttle that make it extremely easy and relaxing to drive. The Santa Fe, while still dynamically accomplished for an SUV its size, feels the most lethargic due to its 1,745kg kerb weight and occasionally indecisive six-speed automatic transmission. Where ride quality is concerned, the CR-V and Santa Fe offer an equally pliant, bump-absorbing experience, followed by the Outlander. 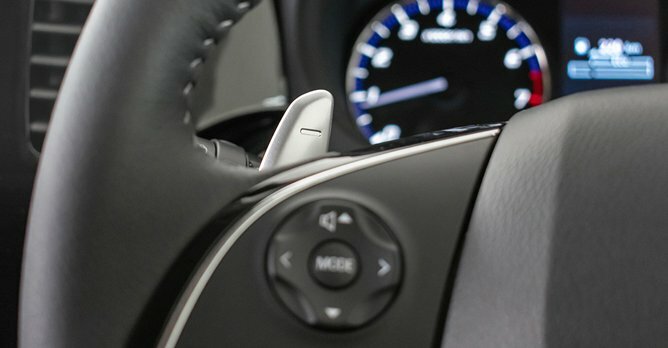 If safety is something you're worried about, the CR-V is equipped with Honda's LaneWatch system, which comprises a little camera that supplements the left side mirror, making blind spot checking a breeze. That said, the Santa Fe offers a few more gizmos, which include an around view monitor, blind spot detection, safe exit assist and rear occupant alert. Its electric driver's seat also comes with an added memory function. While the Outlander may not be as well-appointed or as powerful as its rivals, its value as a seven-seater SUV for the family cannot be ignored. That's because for a little less features, it's a lot more affordable and we suspect, at the end of the day, that's what most buyers care about. If you're a little fussier about space, pace and grace, then you might want to instead consider the $141,999 CR-V. 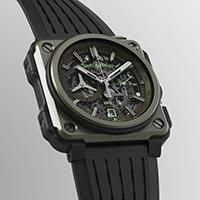 Although a fair bit pricier, it does offer a more well-rounded experience overall. But if even more people space, a generous amount of safety and assistance features, and an undeniably overall pleasant affair is what you require the most, then the $170,999 Santa Fe might just be up your alley. If anything, it's definitely a massive improvement over the its predecessor. And in that sense, the Santa Fe definitely has sharp enough claws to fend off its rivals, even tough ones from Honda and Mitsubishi.